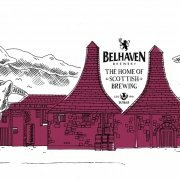 The county’s MSP and MP are helping to acknowledge and celebrate Belhaven Brewery’s 300th anniversary at their respective parliaments. Iain Gray MSP is hosting a reception at Holyrood on 26th February to give MSPs an opportunity to join in with the Dunbar brewery’s anniversary celebrations, which will take place throughout 2019. Meanwhile, Martin Whitfield MP has marked the anniversary with a parliamentary Early Day Motion (EDM) at Westminster setting out the site’s history and welcoming 300 years of brewing innovation at Belhaven.